El Warner brings his specialty in the disposition of institutional assets and passion for innovation to his role as Executive Vice President and National Director of Shopping Center Business for Matthews Retail Advisors™. 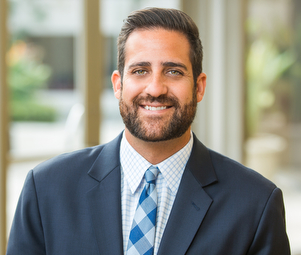 Since closing more than $1 billion in transactions in the last five years, El has utilized his background as a Certified General Real Estate Appraiser and his deep-seated knowledge of the industry to maximize value to clients. He believes brokers have to truly understand an asset and be passionate about creating the best marketing plan to create value and separate his group from his competitors. Previously, El Warner worked with the Top 2 full service global real estate companies. At CB Richard Ellis in Los Angeles, El spent 5 years truly learning the fundamentals of real estate and appraised over $10B worth of institutional quality assets. His team was the No. 1 appraisal group in the country for all the years he was with the firm. In 2010, his passion for investment sales and providing a higher level of service to his clients transitioned him to Colliers International. By leveraging his strong financial and communication skills he was able to offer his clients a higher level of investment sales services than his competitors. Warner closed $1 billion in transactions including the company’s largest transaction in Southern California in 2011, the largest retail transaction in Southern California in 2014, and record-breaking transactions for a grocery anchored shopping center in 2015 earning him a spot on the prestigious “Emerging Leaders” list published by GlobeSt’s Real Estate Forum Magazine. He believes the secret to being able to push market prices is by creating a viable financial story, targeting the right buyers, and creating competition. While at Colliers International, he became a leader in supporting the National Retail Investment initiatives and was able to create and prove a process that created $400M in disposition assignments in a 60-day period. He has brought that passion and ability to grow a national practice group to his new position as National Director – Shopping Centers.